Energy efficiency is no longer just a fancy word that is peddled by marketing honchos to unsuspecting consumers. In fact, the latter is a contradiction as consumers these days are remarkably aware and vocal about the need for better energy efficiency. And this demand permeates every aspect of their lives, right from the appliances they buy to the homes they live in. It is the second part that we are going to look at here. The advantages of more energy efficient homes are wide-ranging. With an energy efficient home design, you benefit from lower energy bills and the feel-good factor of living in a home that is environment-friendly and sustainable. Moreover, gone are the days when environment-friendly meant staid-looking and unfashionable products and services. As professional architectural designers, we’ve worked with several clients who were pleasantly surprised at how the environment-friendly and energy efficient elements we designed for their house or office building had turned out. In keeping with that, here we look at eight easy ways to make your home more energy efficient. Back in school, we’ve learnt how lighter colours reflect sunlight and darker colours attract it. It remains one of the best energy efficient home design ideas and can be used to make a room or space feel cooler or warmer naturally. For instance, by painting the ceiling with lighter colours like beige, cream or even pink, you can lower the amount of light and heat absorbed by the ceiling. But if your room doesn’t get adequate sunlight and is cold as a result, you can choose to paint its ceilings and walls in warmer colours like red and yellow. This can help you to reduce your energy consumption to warm up or cool down your room, which in turn makes your home more energy efficient. Flooring options like carpets and rugs are excellent heat trappers and among the cheapest energy efficient home ideas. That is why they are used extensively in the winter season or places where winters are harsh. And contrary to popular belief, carpets and rugs work well for office spaces too. Just ensure you pick a colour and shade that matches your office’s overall décor. In fact, we recommend them as a more cost-effective and simpler solution to increase the warmth of a space, both literally and figuratively. The window is one of our focal points when designing or redesigning any space in a building. Large windows are one of the better energy efficient house features to have as they let in more light and air into your room; we also recommend pairing them with dense covers. Lighter covers (like sheers, for instance) are not as good as the denser ones when it comes to controlling the amount of natural light that enters your room. The different degree of adjustments that denser covers (like shutters) offer gives you better control, reduces your dependency on artificial lighting and boosts in energy efficiency in the home. The answer to the question of how to make a home more energy efficient lies with the little things. Take the ceiling fan, for instance. Their simple design notwithstanding, fans are perfect for use in summer as well as winter months. In summers, you can have the fan rotate in a counter-clockwise manner to create a downward draft. Conversely, a clockwise direction of rotation in the winter circulates the warm air from the ceiling throughout the room. Simple, inexpensive, energy efficient; can it get any better? Yes, it can. There are fans that feature inbuilt lighting, which helps illuminate a space while also making it more comfortable for you to live or work in. Investing in insulation is considered among the most effective energy saving tips for homes. Adequate insulation works both ways; it mitigates the amount of heat that enters or escapes your space. What is better for you depends upon the climate of the place you live in. You can have your ceiling and walls insulated to enjoy a thermally-stable and energy efficient space. Although it’s among the best energy saving techniques, just make sure that you choose the right insulation material as some materials are more suited to certain types of homes and areas than others. You can consult an architect or even an experienced contractor for advice on choosing an appropriate insulation material. Energy efficient fixtures can make a huge difference to your energy bills, especially in continuously-lit spaces like offices and factory floors. We recommend our clients to opt for energy saving devices for homes wherever possible and lighting and fixtures are one such area. Their high initial cost also pays off in the long term as they have a long operating life. They also make your property more energy efficient and help it get a higher-grade energy performance certificate (EPC) from the UK government. Energy efficient homes in the UK with higher EPC grades (the scale ranges from A to G in a descending order) command significantly better prices in the real estate market. Although it may come across as gimmicky, a cool roof is an essential part of energy efficient house design that helps prevent the roof from heating up because of direct exposure to sunlight. This is achieved by reflecting the sunlight off the roof. A cool roof is typically made of a material like reflective paint, shingles or even tiles. This reduces the amount of heat absorbed by your roof and transferred to your room via the ceiling. The end result is a cooler room with reduced air-conditioning costs. Value engineering is the most energy efficient home design idea comes into the picture when a property is in the early stages of being designed or built. It helps make your home or office more energy efficient by using a construction technique that makes extensive use of insulation materials and less wood and lumber. Apart from reducing your cooling or heating costs, value engineering is also known to lower the labour cost you incur during the construction of your property. Ideally speaking, energy efficient interior design can have the greatest impact during the planning stage. That said, it’s never too late to transform your home into a more energy efficient version of itself. Just ensure you consult a good interior designer or architect for the task. Also, don’t worry about the budget being an issue. After all, frugality is an integral part of energy efficient interior design. If you’d like to know more about how to build an energy efficient house or how value engineering can help reduce your home and office’s carbon footprint, get in touch with us today. Architectural Design & Plan is a renowned name in the field of architectural design. 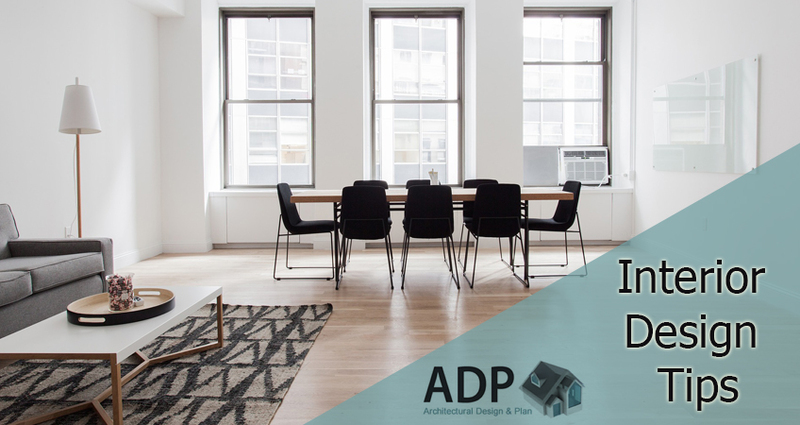 If you reside anywhere in and around Essex, you can avail of our services that include architectural design, architectural planning, loft conversions, space planning services, home extensions and of course, interior design.